This guided 10 day tour allows you to experience the very best of the South Island of New Zealand, from mountains and glaciers to stunning coastal scenery. Set out from Christchurch for Arthur’s Pass. The mountain scenery is superb, and you’ll enjoy stops such as Castle Rock, where scenes from Chronicles of Narnia were filmed.Hokitika is known for its annual wild foods festival, and also offers an excellent jade and crafts scene. Next stop is Franz Josef Glacier. Here you’ll enjoy a range of options from adventurous rafting, to heli-hiking on the glacier, to kayaking a beautiful West Coast lake. Ascend from the rich rainforest of the West Coast to Haast Pass, and subsequently the drier interior of the South Island. 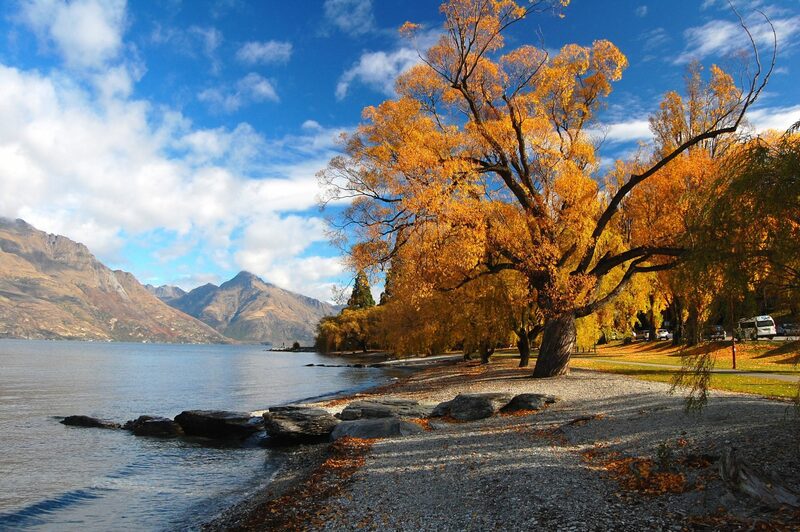 The mountainous scenery is breathtaking throughout your drive to the charming lakeside town of Wanaka. Next up is Queenstown. This is where you’ll find many of New Zealand’s best thrills. Its also home to some of the best golf courses in the country. Finally, your return journey to Christchurch leads you via NZ’s highest mountain, Mt Cook. You’ll also want to check out the Church of the Good Shepherd, on the shores of beautiful Lake Tekapo. Enjoy delightful luxury accommodation throughout the route.